Bison seeking third title in their fourth year in conference. 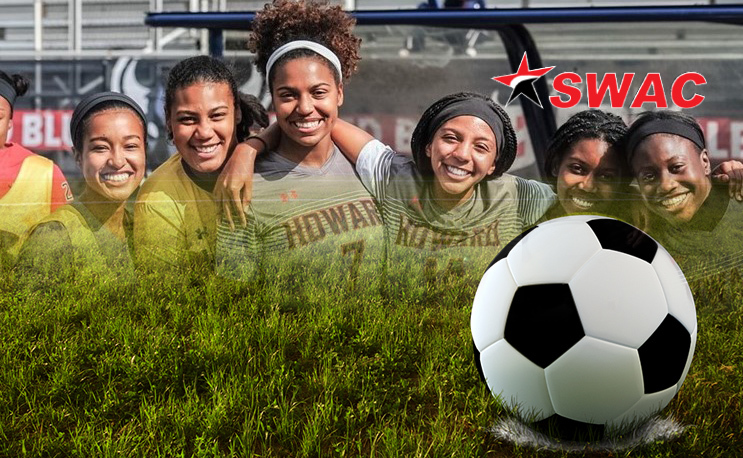 BIRMINGHAM, Ala. – The Southwestern Athletic Conference (SWAC) announced the 2017 Preseason All-SWAC Soccer teams and individual honors on Monday, with Laadi Issaka (Mississippi Valley State), Ariela Lewis (Alabama State), Kendall Hamilton (Howard) and Gabrielle Emilien (Howard) earning individual honors. Howard was predicted to be the regular season champion in the predicted order of finish. Accolades were voted on by the league’s coaches and sports information directors. Issaka and Lewis earned Preseason Co-Offensive Player of the Year honors. Last season, Issaka scored the most goals of any player in the conference. Issaka scored 19 goals in 15 games played and tallied 2.73 points per game for the Devilettes a season ago. Lewis led Alabama State with 17 goals in 20 games played last season, totaling 42 points on the season to lead the Hornets, who led the SWAC in goals per game (2.82) and points per game (7.59) in 2016. Howard had two players earn preseason individual honors. Kendall Hamilton received the Preseason Defensive Player of the Year honor. Hamilton played 1,870 minutes for the Bison last season, to lead a Bison defense that allowed 1.05 goals per game and had a 1.00 goals against average as a team – both of which led the SWAC. Gabrielle Emilien earned Preseason Goalkeeper of the Year honors. Emilien notched a .904 save percentage, recorded seven shutouts and had a 0.47 goals against average for the Bison last season. Howard was picked to win the regular season title in the predicted order of finish with 217 points, Alabama State (204 points) was projected to finish second, while Texas Southern (163 points) was predicted to finish third, followed by Arkansas Pine Bluff (156 points), Mississippi Valley State (131 points), Prairie View A&M (127 points) and Jackson State (122 points). Southern (83 points), Alabama A&M (71 points), Grambling State (62 points) and Alcorn State (50 points) rounded out the standings. Howard earned the most All-SWAC selections with seven, Alabama State was second with six players and Arkansas Pine Bluff had the third most with three players selected. Texas Southern had two players selected, while Mississippi Valley State, Prairie View A&M, Southern and Alcorn State each had one player earn preseason recognition. Can Footman lead Alcorn State back to Atlanta?